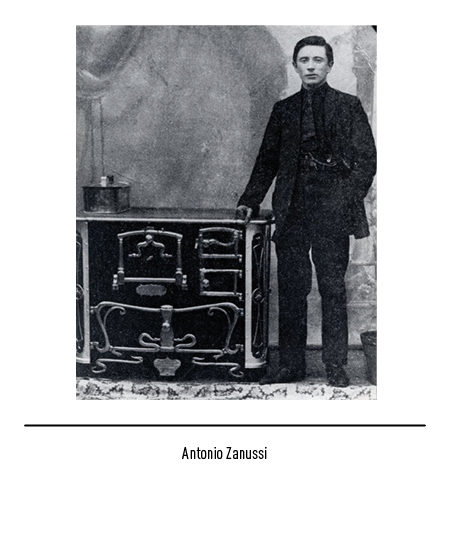 It was 1916 when Antonio Zanussi, the son of a black-smith, opened the "Officina Fumisteria Antonio Zanussi" in Pordenone for the construction of hand-made wood-burning stoves and ovens. 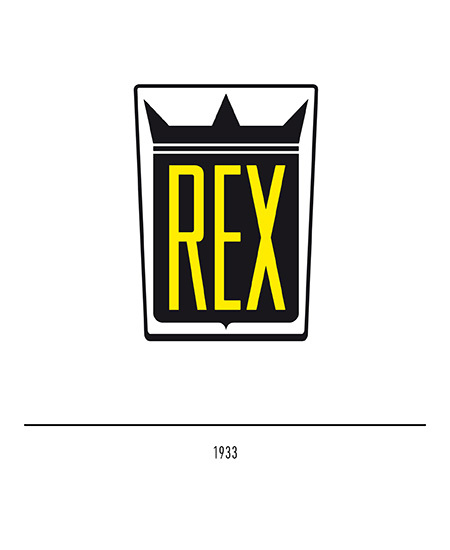 By 1933 the firm was already specialised in the production of electrical appliances marketed under the brand-name "Rex", so-called after the fabulous trans-Atlantic liner that sailed triumphantly into New York harbour thus setting a new record for the crossing and winning the much-coveted "Blue Ribbon". 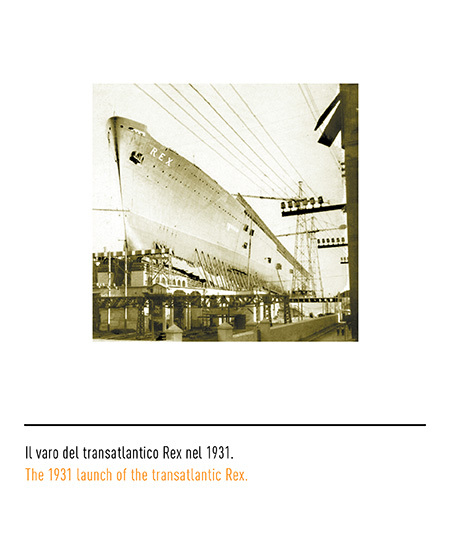 The adoption of the name of the ship that had accomplished the glorious exploit was to prove premonitory of an industrial success story no less glorious. 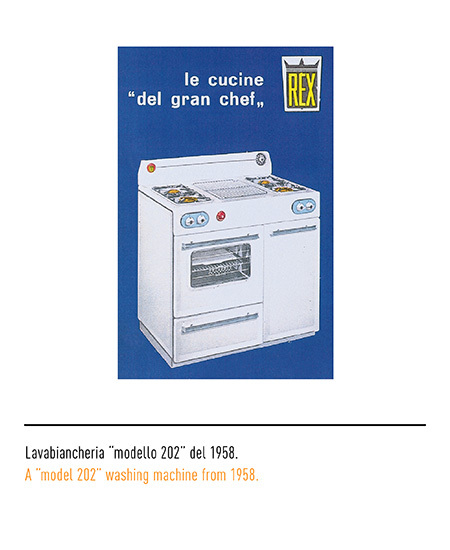 The electrical appliances bearing the name have contributed to making Italian family history and gone a long way to improving daily living standards. 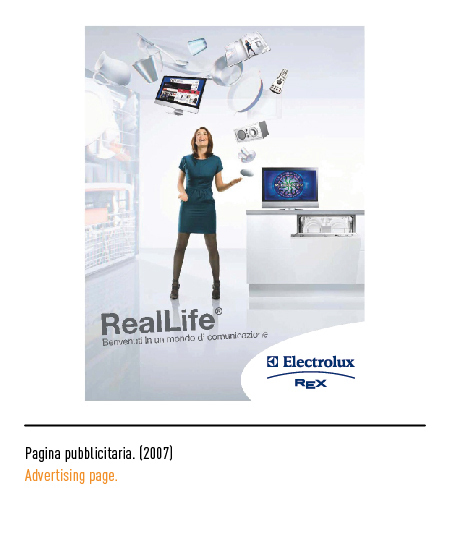 The highly effective slogan "Fatti per essere il numero 1" ("Made to be number 1") says it all in a nutshell and it is on this slogan and its trade-mark that since 1991 the company has largely depended for conveying its corporate image. 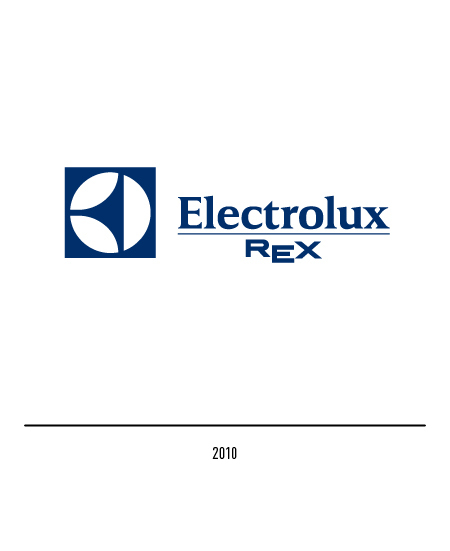 The first trade-mark though dates back to 1933. 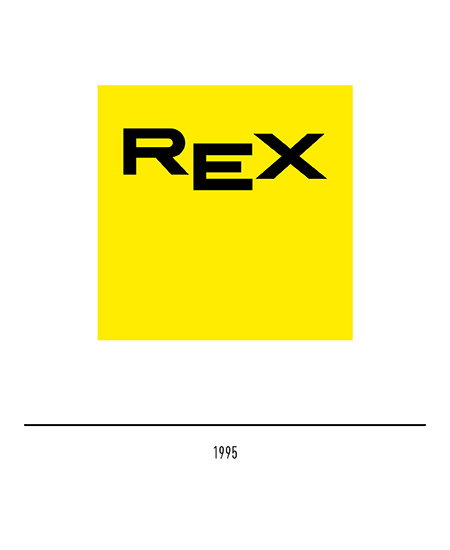 Designed by Vincenzo Giudice, it portrayed a black shield under a crown and came with a yellow logotype and the word "Rex" in tall block letters. 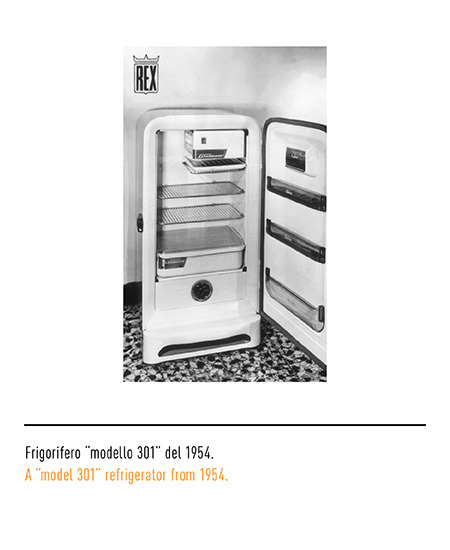 Especially in the sixties hefty investments were made by the firm to strengthen production and improve the design of its appliances, so much so that it was awarded the "Compasso d'oro" in 1952 and again in 1967. 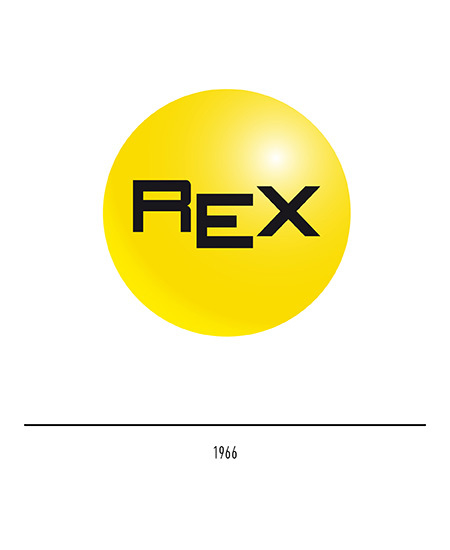 In 1962 the shield was dropped but the crown retained and it appeared together with the three letters set off one from the other. 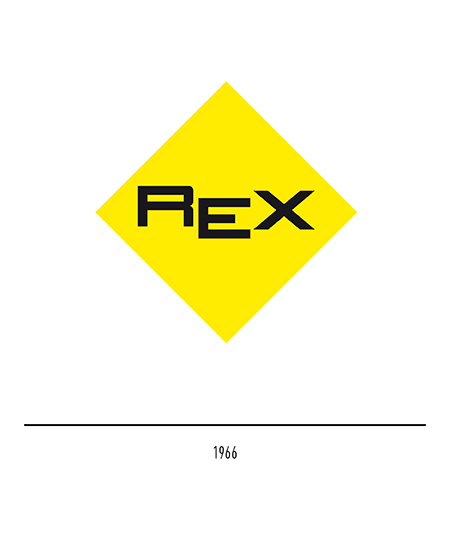 In 1966 only the logotype appeared enclosed by a yellow rhombus. 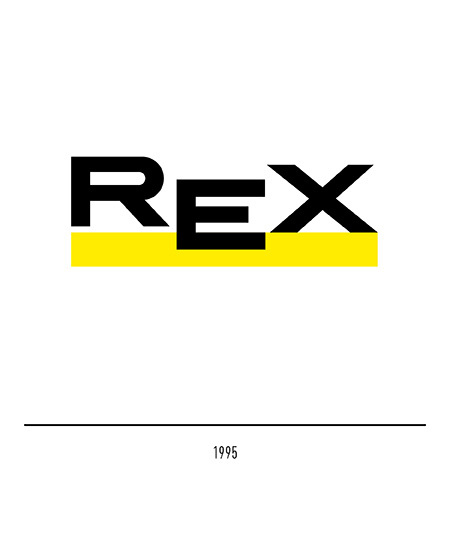 In the restyling operation conducted in 1995 by the British studio Minale & Tattersfield the logotype was touched up to bring it into line with modern tastes and trends. 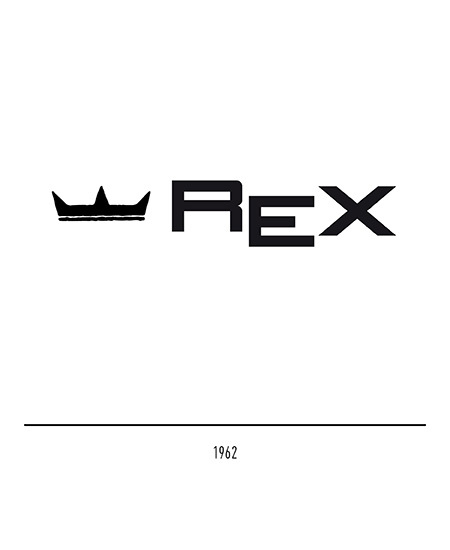 This was achieved simply by changing the leg of letter "R" and spacing out the lettering. 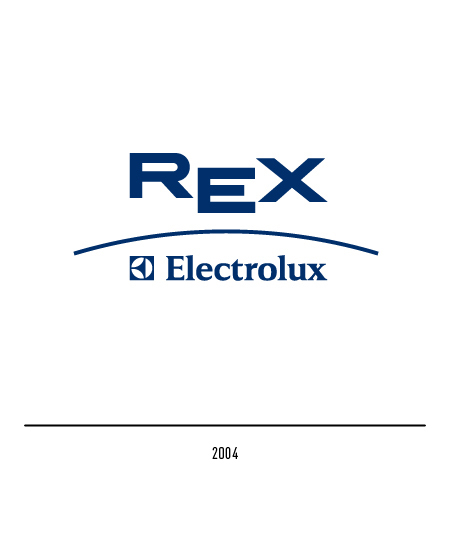 In 2010 Rex has been acquired by Electrolux, worldwide leader in appliances : such fusion bound the prestige of the Italian brand with the sensibility of Electrolux towards environmental sustainability. 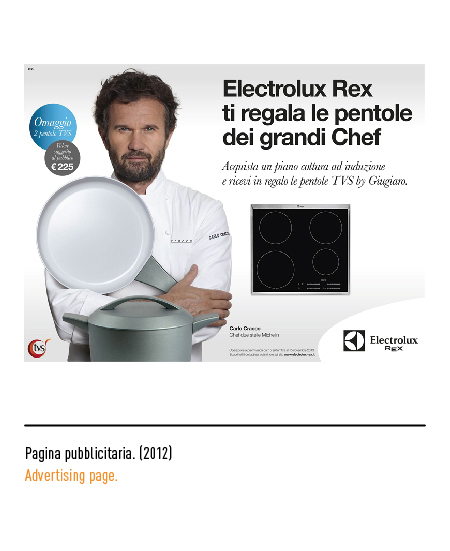 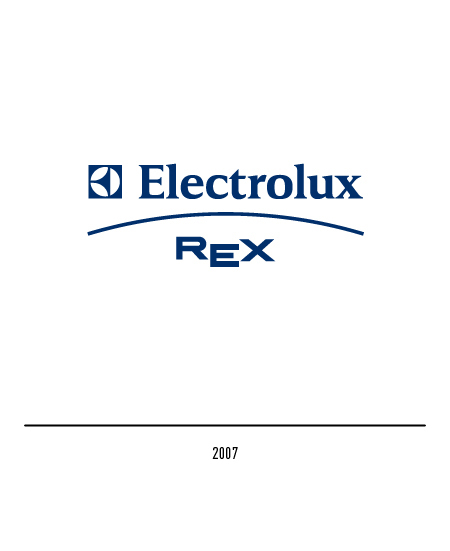 In order to preserve the inheritance of the values which have always distinguished Rex in its relationship with the customer, in a first moment the logo Electrolux appeared to be of equal importance between the two even being the leader of the fusion; in the following years, accordingly to the logic of the new identity of the Electrolux Corporation, in 2010 Rex saw its logo losing its primary position in the configuration. 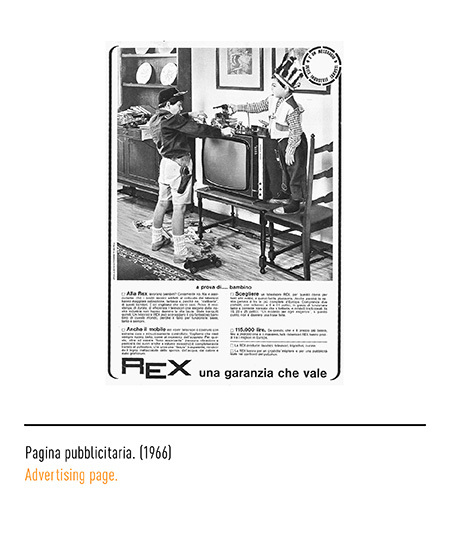 Marcello Minale, CREATORE DI IMMAGINI, Hoepli, Milano, 1995. 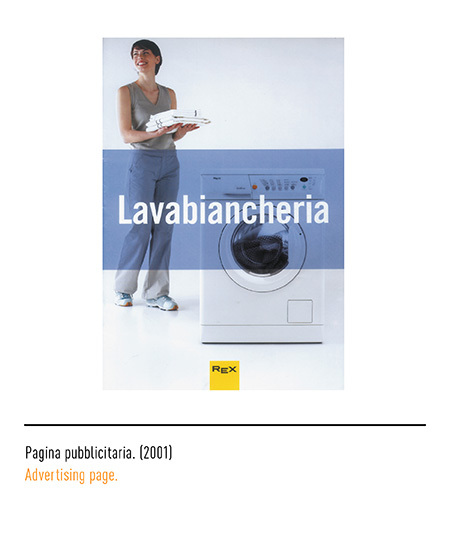 Giovanni Anceschi, “Image: il corpo mistico dell’organizzazione”, in Linea Grafica, n. 1, 1995, Azzurra Editrice, Milano.